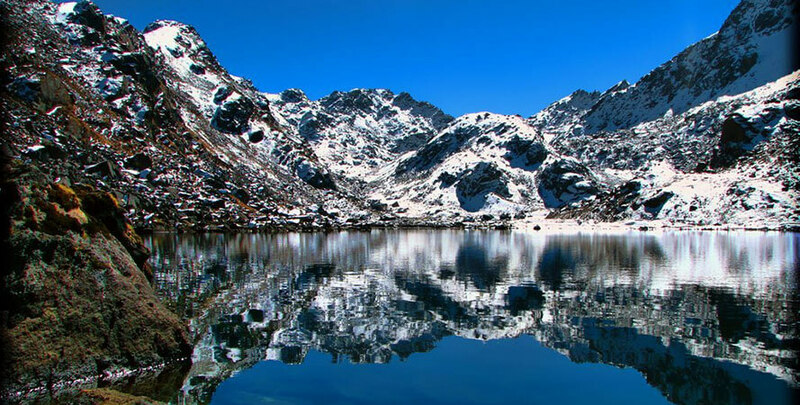 Bhairav Kunda is one of the sacred pilgrimage sites located northeast of Kathmandu at an altitude of 4200m on the closer border of Nepal and Tibet. We start our trekking from Kathmandu with 5 hour bus drive out of the Valley and up through the hills to a place call Jalbire. Jalbire is a traditional small town of Newar community with full of its traditional and cultural values. 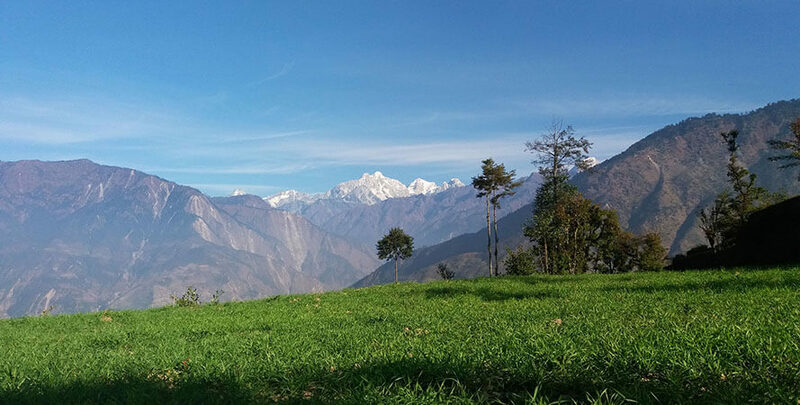 We spend our first night of this adventure right nearby the town of Jalbire where you will be provided with short tips and tricks of trekking by our experienced guides. He also explains about sickness that might be caused while trekking in high elevation often called as altitude sickness and also the remarkable spots from viewing amazing and gorgeous mountains. During the rest of our trekking days, we watch the diverse lifestyle, culture and interact with the people in the small village, passing through the thick forest and grassland. We go through a mixture of wonderful Mountain View and the terraced fields and trademark houses of rural villages from different ethnic groups. The highest point of Bhairav Kunda i.e. 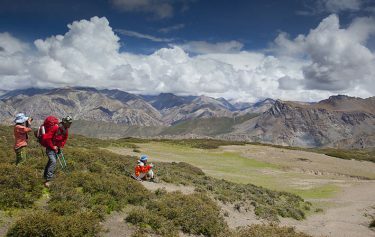 about 4200 m offers an brilliant scenery of Rolwaling range, jugal Himal ange and some of the Tibetan mountain as well. The trip can be more adventurous with the thrilling experience of Rafting and finally from Larche we take a bus ride back to Kathmandu. Experience Shaman pilgrimage site through untouched traditional villages in spectacular Himalayan landscapes to reach the holy lake. Explore remote and Cultural village, Taste real Nepali Traditional. Day 02: Jalbire - Chanaute (1350m.) 4hours walk. Day 03: Chanaute - Khani Gaon (2000m.) 6hours walk. Day 08: Bhairav Kunda - Sherpa Gaon (2500m.) After Sunrise view 6-7 hours walk. Three hours duration in which we can enjoy the mountain views. We head northeast on the road to Tibet to Balephi, which once used to be one of the main towns on the trade route to Tibet. The whole Balephi Valley is magnificent and from here we drive further on a dirt road to Jalbire for about one hour upstream to our first night camp at Jalbire. Jalbire is a lovely Newar village set on the banks of the Balephi River, where we gain an insight into the Newari culture and see the Hindu temple of Lord Bishnu. Four hours of easy walking along a road to Chanaute. 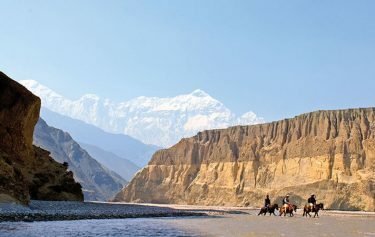 On the way we will pass through some small Tamang villages and a stunning waterfall. 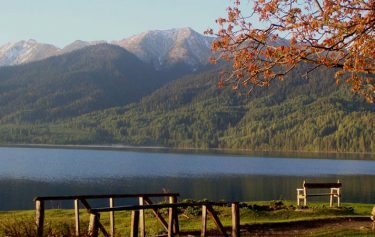 we will camp by the school where we can relax and enjoy great mountain views! Relax, day, or explore the culture and tradition of this interesting and picturesque. Steep walk up through the Rhododendron forest. We have about 6 hours of walking today and while harder than previous days, it is a great chance to take in the truly beautiful forests of Nepal. Today also involves steep uphill climbing, so we take it easy on the way up and enjoy the surroundings! We ascend towards incredible views through pine and rhododendron forest. 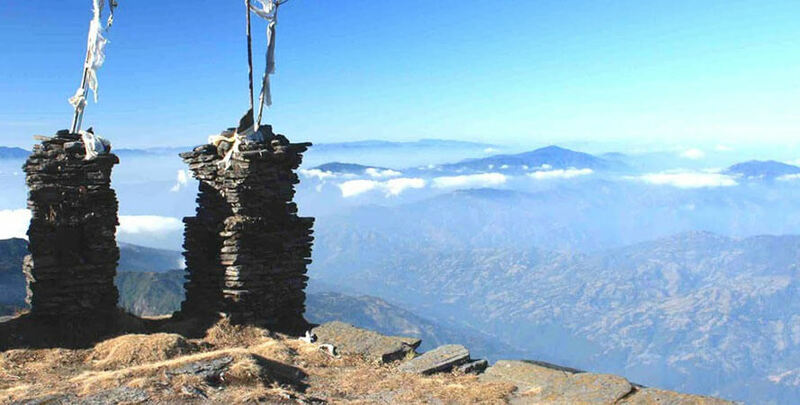 Having climbed for about 4 hours, We can enjoy taking in the glorious mountain views and check out the rest houses made for pilgrims taking the trek to the holy Bhairav Kund. 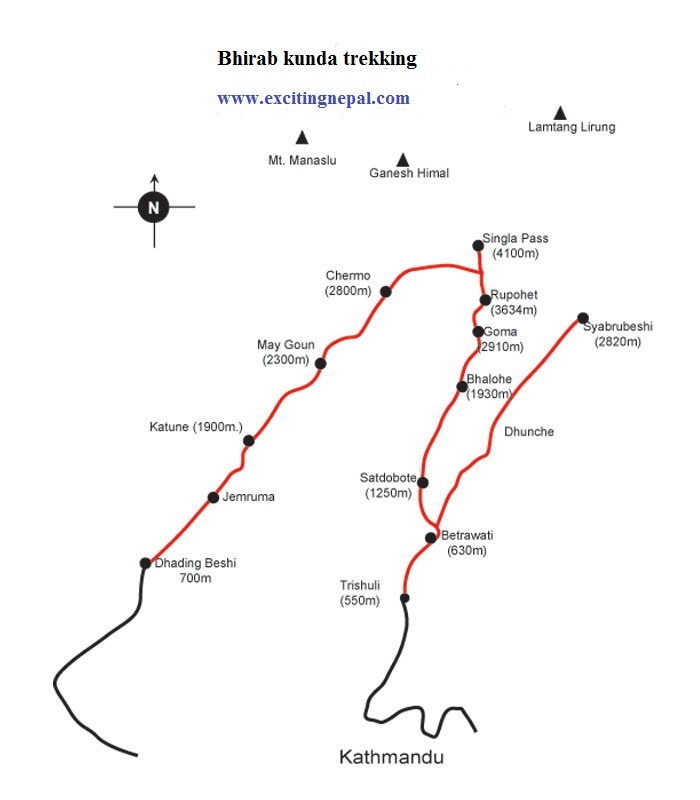 This morning we have about a 1 hour walk up hill and then it levels out and we continue for about 2 ½ hours to our destination - Bhairav Kund! 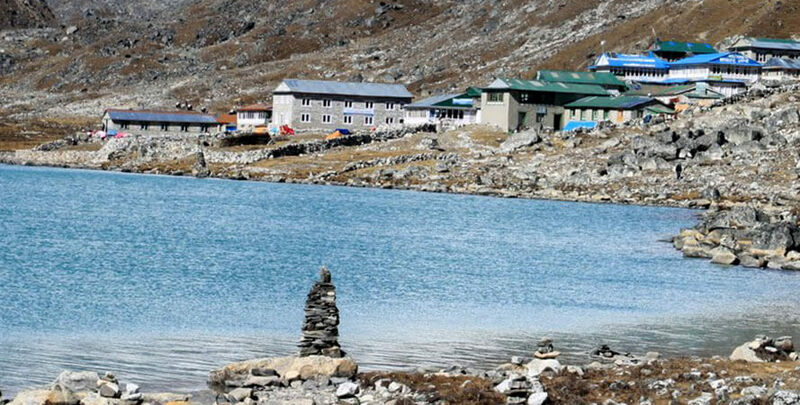 Bhairav Kund is a stunning holy lake (Kund means ‘lake’) at 4250m. It is an important pilgrimage destination and once a year in June/July pilgrims come to pay their respects at the temple dedicated to Bhairav (the destructive form of Lord Shiva) and bathe in the holy lake. This morning we are up early to catch the sunrise! 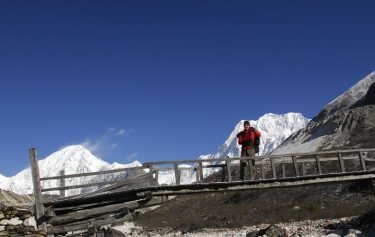 Our heart starter is an uphill walk of 1 ½ hours to the top where we are richly rewarded by magnificent views over Langtang, Jugal Himal Range, Rolwalling Range and the Tibetan Range. 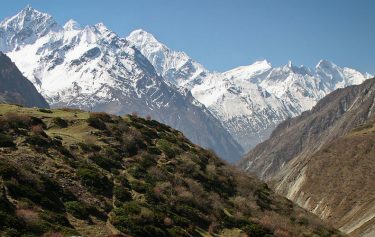 we will trek down steeply for about 6 hours through stunning forest to Sherpa Goan. Day 10: Larche to Kathmandu by bus or jeep. We head back to the comforts of Kathmandu. About six hours. All your stander Meals (breakfast, lunch and dinner) during the trek and a cup of tea or coffee. 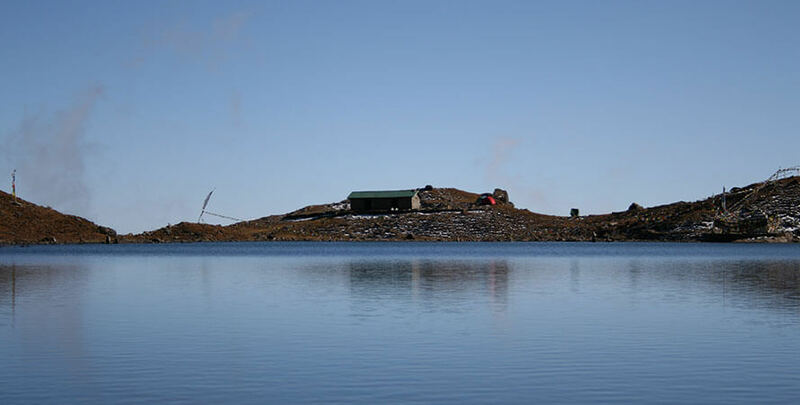 Camping accommodation during the trek all your camping arrangement. Food and Extra night whilst in Kathmandu.